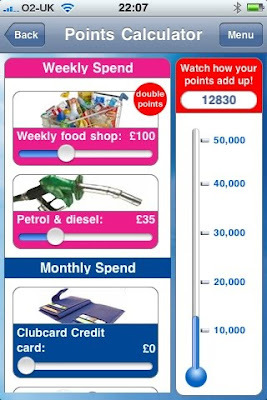 The iPhone Clubcard application has now reached just under half a million downloads and the new improved version of the application which accesses your live Clubcard points balance should be available in the App Store any moment! We've taken off the old original version so newcomers to the app don't end up having to download and set up their Clubcard application twice in one week. 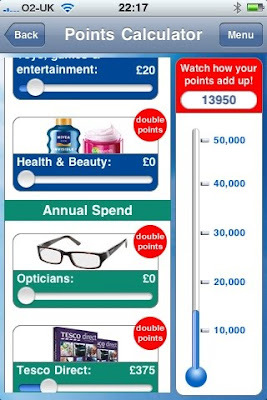 The new version went live on Friday evening and we had 72,708 downloads/upgrades for the iPhone Clubcard app on Saturday 15 May alone! 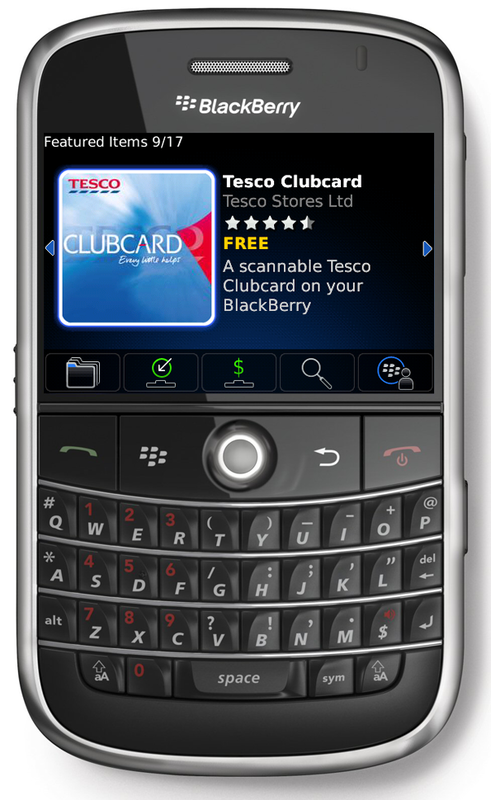 The Tesco Clubcard application, first launched on iPhone, has just become available to owners of RIM Blackberry smart phones. The application can be viewed by following the link below or you can install it by following the same link on your device (you will need to install App World first if you haven’t already). Ben Martin, the developer behind the app, reports that so far the application has been downloaded 20,649 times when he looked this morning (Monday 17 May). This morning we notice that it has just been added to the App World Carousel (see the image below - click to enlarge) which we think will significantly enhance downloads. The carousel is the first screen that consumers see when they launch App World on their device and is a short list of popular applications selected by RIM. We also have access to data that detail what device or cellular provider the application has been installed on. Ben reports that currently the most popular device is the BlackBerry 9700 - 40% of downloads of the app have been to this model - and the most popular cellular provider is Orange over which 39% of downloads have been conducted. It's OK: message received loud and clear. Both customers and colleagues have been emailing / commenting that there are now three Tesco apps for the iPhone but absolutely none for anything else and that frankly they are getting a bit bored waiting. 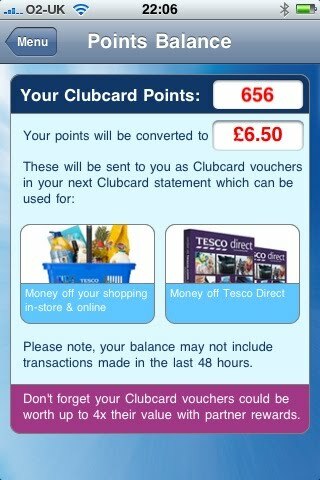 ScaredyCat: @techfortesco: getting a bit bored with tesco iphone only stance. There are other phones. Well there's only one person to blame for all this and that's me. I started all this nonsense(!) about mobile apps as part of R&D research. I did it on an iPhone because I have an iPhone so it seemed like a good place to start. It helped that Apple had created the most consistent and coherent environment for development and application launch, so issues such as coping with a phone's lack of CPU power and all those different screen sizes and aspect ratios were absent from iPhone. Oh yes, since I promise honesty on this blog of course a sense of vanity and cool permeated the decision. 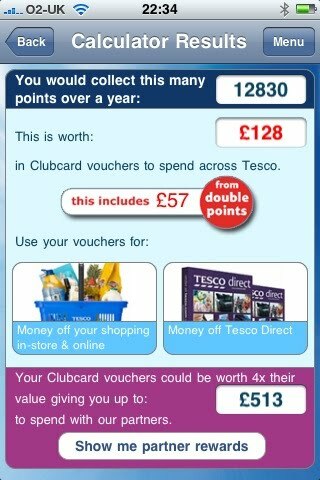 Tesco being cool, huh? The success of our apps certainly showed that mobile applications from Tesco sit well with customers and in R&D we had proved that all the technical bases worked, which is what we're here for after all. However our work now is ensuring we have a coherent API that will support all kinds of phones, so we have concentrated on developing this interface. This work has taken up nearly 100% of R&D time to research requirements and get it right. Once completed, we can do anything we want in the mobile world, on most phones and other devices too, but we have to complete these foundations before the visible applications are built. While this API work has continued, our leaders have created a comprehensive and very sensible mobile strategy. By 'sensible', they have realised that we shouldn't have a whole load of Tesco apps and that each app does one little task, but a combined application that is best for customers. 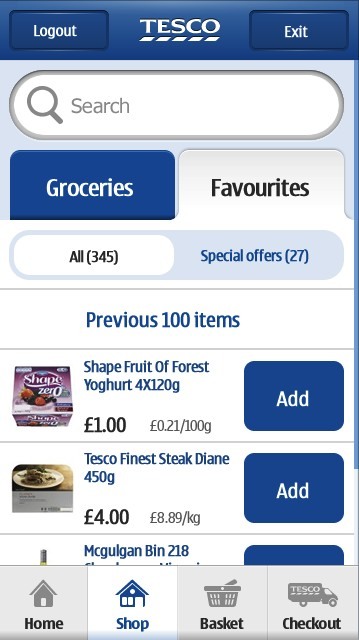 Take grocery - wouldn't it be great if we took the forthcoming online grocery application (already nearly completed and in user-acceptance testing) and combined it with Tesco Finder so you can order your 'Favourites' list of products online and also sat-nav your way through finding them in any Tesco branch? Now that's much better than two separate apps, and it's something they are looking into for phase two. 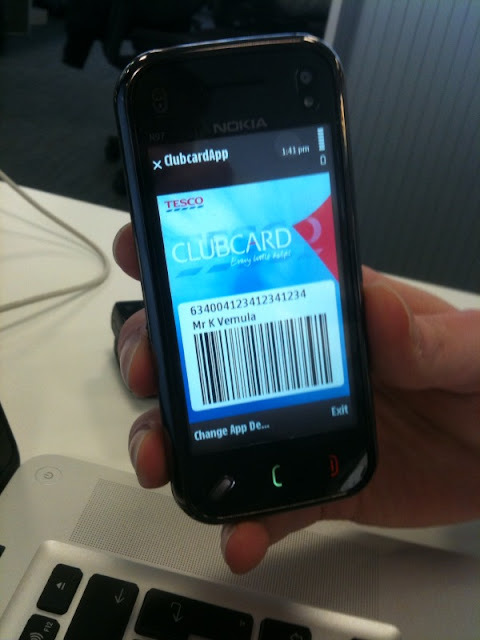 Is that the Tesco Clubcard app nearly ready for launch on a Nokia N97 through their OVI store in the next few weeks? Yes I think it is! 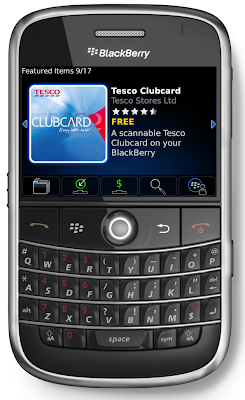 I also have somewhere the Clubcard app running on a Blackberry which I'll show you when I get my hands on it. I also know that members of our newly extended R&D team are getting their teeth stuck into Android development so we can build our in-house expertise on that rapidly growing platform. So, dear customers and colleagues, a lot of talented people are designing and building the applications you are seeking. The delay is only to ensure that they get them working just right through an extensive programme of design, development, and user-acceptance testing which is running now. Soon these apps will be yours. Tonight at 6pm (17:00 UTC), the original API that we launched privately back in October 2008, then to external developers two months later, will be shut down. The CTP API's end coincides with the demise of our old grocery platform which it accessed, as we have moved nearly all our customers to the new grocery service now. 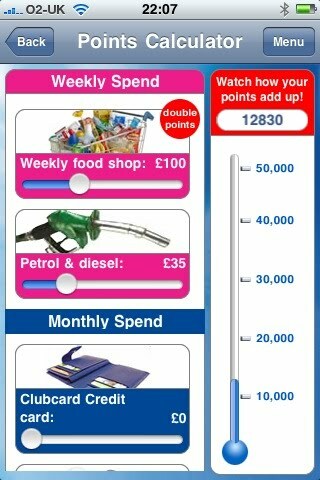 Powered (until last week) the Tesco Finder iPhone application. As a result of what it allowed us to do, suddenly our business realised the 'art of the possible' and as a result put in both time, effort and money that made our TJAM innovation event the success that it was. During a regular senior team meeting last summer involving both IT and business managers, an IT manager had to inform that meeting that one of his projects was going to be delayed. This was greeted with some dismay by the business unused to such news. The next item on the agenda was the 'Back To School' application which Marketing informed the meeting had been built in just a week "on the back of Nick's API" and was now live and taking money. A senior director exclaimed, "Why can't the rest of IT be like Nick Lansley?". Turning to IT manager, the director told him, "Go and talk to Nick and find out how he does it!". And he did (that was interesting conversation!). "It is thanks to the hard work, attention to detail, performance and resilience of our existing systems that I can do my job. It is thanks to the work by this IT manager and his colleagues that I achieved what I have - because they let me stand on their shoulders." I never received a reply back, but when I saw the senior director in the distance a couple of days later, they saw me, smiled and nodded. StatusInfo: "Please see http://www.techfortesco.com/forum for news of the next version of the Tesco API. Everything that has a beginning has an end. Let me sleep." We've submitted a new version of the Tesco Clubcard app to the Apple iTunes App Store. The Tesco Clubcard is free from the Apple iTunes Store and, if you already have the app, the free update will be automatically downloaded when you next use iTunes online or access the 'App Store' icon on your iPhone. Click here to start iTunes to go straight to the app download page. The updated application, like the original, was built by Ben Martin of Tesco PLC's Group Technology & Architecture team. Ben, you've done a great job!